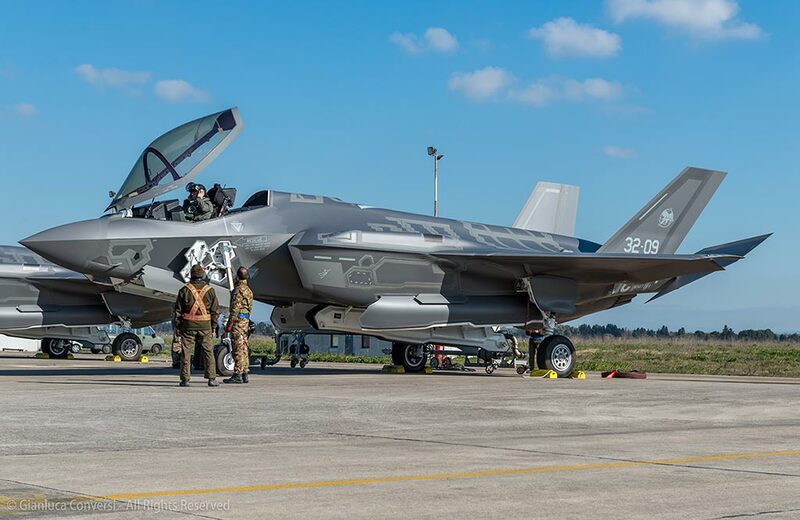 Italian Air Force F-35 Lightning II are continuously deployed in several bases of Italy in order to achieve the Fully Operational Capability (FOC). Curently, there are 10 jets commissioned by the air force and 2 of them are permanently deployed at Luke AFB, AZ for training purposes. 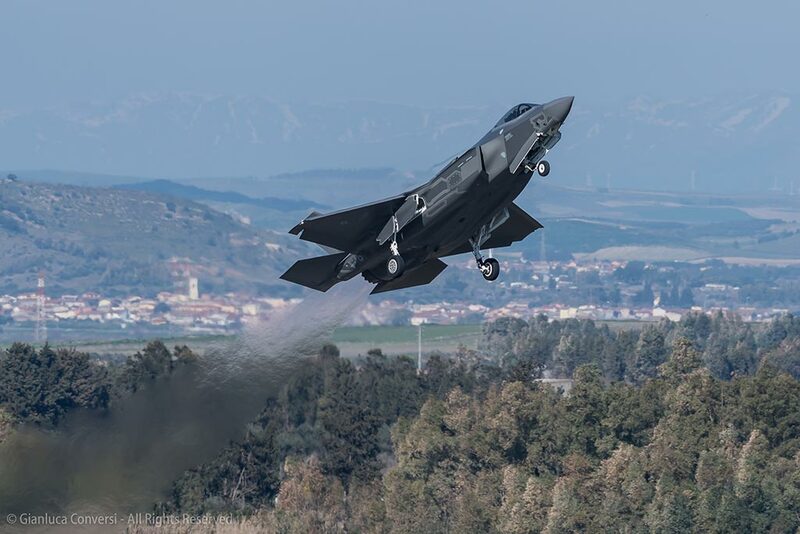 After 6 jets involbed in a 3 weeks’ deployment in February at Decimomannu AFB (Sardinia) and a week at Istrana AFB (Northern Italy) involed in electronic missions over Germany at Bann “Polygone” Training center, Italian Air Force will now send some of its stealth aircrafts to Greece. 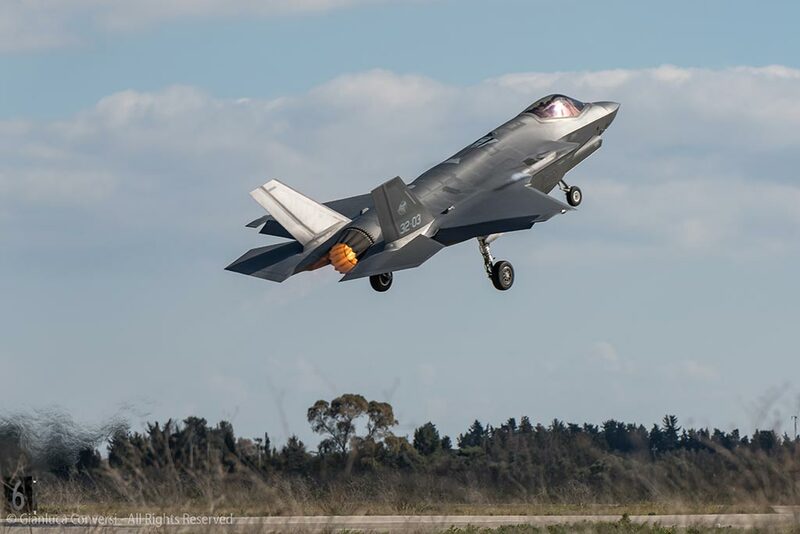 Starting 1st April 2019, INIOCHOS 2019 exercise will involve several NATO countries, but the Italian jets will not operate under their full stealth mode, carriying radar reflectors to increase the radar cross section (RCS). 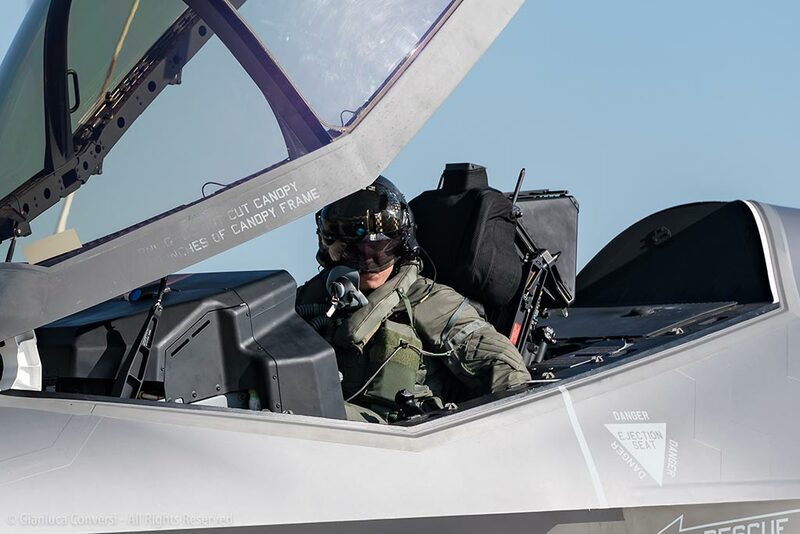 Usually, the “Luneburg” reflectors have to be mounted during flight transfers in order to keep secret most of the special characteristics of the Joint Strike Fighter. In this case, operating in a “attentioned” area, the aircrafts will operate in a more visible manner in the air space but using all the rest devices that grant the sensor fusion and the unprecedent situational awereness of the air battle space being able to share the informations with the 4th generation aicrafts. Aviation Report had the opportunity to stay a day with the 13th Squadron of 32nd Wing “I Falchi” during February’s deployment of the Italian stealth jets at the Experimental Gunnery Training Group based at Decimomannu AFB (Sardinia island), where during 3 intensive weeks the italian jets carried out various types of activities, maximizing the so-called “omnirole” unique capabilities: the F-35 can simultaneously undertake the whole range of tasks that required different and many types of aircrafts if performed by any o the old aircrafts. 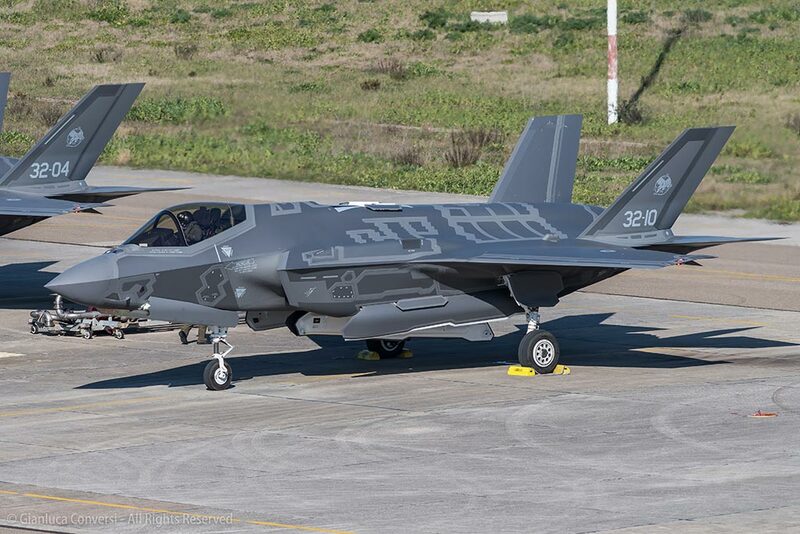 The Italian Air Force F-35A Lightning II conventional model of the Joint Strike Fighter Program were the first in Europe to declare IOC and the first to cross the Atlantic Ocean (serial 32-01). 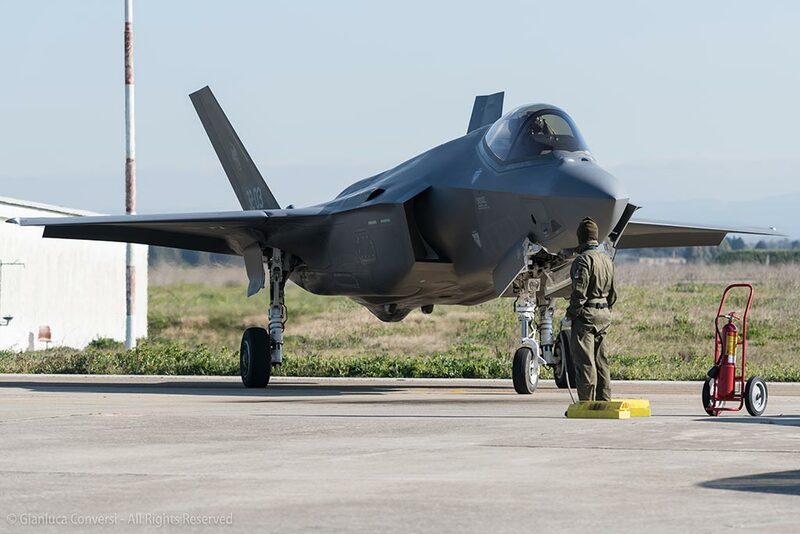 Italian Air Force is waiting the delivery of AL-11, the eleventh F-35A and the Italian Navy is going to commission the 2nd Short Take-Off and Vertical Landing model, the BL-2 (F-35B). 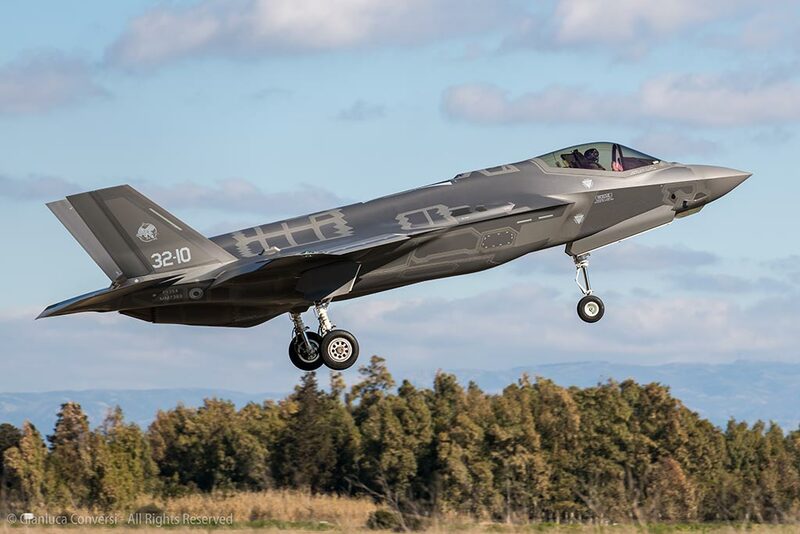 Belgium, remaining in Europe, is the last country that selected the Lockheed Martin advanced fighter jet and Poland, Greece and Switzerland declared interest to the 5th generation jet. Germany will be obliged to buy a new version of the Eurofighter Typhoon that can’t be compared with the F-35.